Email marketing generates massive amounts of revenue for B2B companies. In fact, targeted emails factor into 58% of all sales. Here are five best practices that will improve your open rates and boost your conversions – along with a FREE checklist of 25 Absolutely Essential Emails to Send. It seems that every week, we learn about a shiny, new way to engage B2B customers. However, there’s nothing quite as powerful (and affordable) as email marketing. In fact, 59% of B2B marketers say that email is their most effective channel for revenue generation. A study has shown that email marketing delivers $38 for every $1 spent. Email outperforms other channels including social media. According to McKinsey, you are 40x more likely to acquire a new customer from an email than from Facebook or Twitter. Meanwhile, you are 6x more likely to get a click from an email than from a tweet. As a B2B marketer, you have the opportunity to use email to nurture prospects and convert them into customers. Then, email can help you turn your these new customers into long-term loyal fans who recommend you to others for many years to come. What Are Your B2B Email Marketing Goals? Many B2B companies only send emails when they have something to pitch. But a strategy that’s focused entirely on self-promotion doesn’t make for successful B2B email marketing. Your emails should be part of a larger marketing strategy that strives to build relationships with prospects and customers. Once you build a relationship, you will find that it’s easier to sell your products or services. Start by understanding your customers’ journey. What information do they want across every stage — from awareness to brand advocacy? 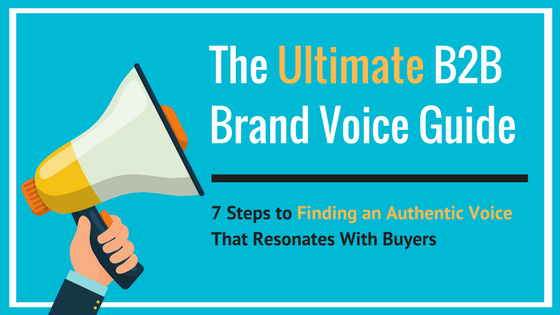 You may have gaps in your content and the opportunity to create messages that resonate with buyers across all of these stages. In the early stages, the primary focus of your emails is to build trust and to gently introduce your brand. These emails are crucial, because research shows that it takes up to 13 interactions with your business to generate a qualified sales lead. You can check off quite a few of those interactions from the inbox. After a prospect becomes a customer, it’s essential that you stay in touch and continue to provide relevant, valuable content via email. This keeps your customers engaged and your business top-of-mind. Note that your current customers are more valuable to your company than prospects. Acquiring a new customer costs five times more than retaining your current one. But that’s not all. Current customers spend 67% more than new ones on average and, over their lifespan with your business, are worth up to 10 times their initial purchase. Successful email marketing strategies aim to build, and then meticulously maintain, relationships with customers. As noted earlier, the types of emails that you send depend of where your customer is on their journey. In the early stages, you’ll focus on education and conversion. After conversion, you’ll focus on deepening your relationship, encouraging advocacy, and promoting products or services that could help them as their needs evolve. To make it simpler, let’s sort your B2B email marketing strategy into two main categories: Reaching prospects and enriching relationships with current customers. A lead nurture series – Send a new prospect up to nine nurturing emails after they opt into your list. This series can include customer testimonials, FAQs, and any other information that they need to sign up for a free trial or demo of your solution. You can also package your lead nurture series as an email course where you help a prospect solve one of their challenges. A welcome email for prospective customers – You can include your welcome email in a lead nurture series or send it on its own. The goal of this email is to set expectations. You want the customer to understand when you’ll send emails and what type of information you’ll send. Round ups – To keep in touch with prospects, you can send periodic emails that curate content from different, respected sources that you know will be helpful to your subscribers. These interactions can demonstrate your value to the prospect. Blog updates – Whenever you write a blog post, be sure to notify your subscribers via email. Otherwise, they may not see your latest posts. News – In addition to blog posts, send out important news and announcements about your business. Self-promotion should be kept to a minimum, though. A good rule of thumb is to send out three value-driven emails for every one self-promotional email. Testimonials and case studies – In an effort to convince a prospect that your products and services deliver results, send them social proof in the form of testimonials and case studies. Inactivity – At least twice a year, you should send out an email to your least active subscribers to ask if they still want to stay on your list. If you don’t get a response, delete them. It may be painful to get rid of hundreds (or more) names, but it’s necessary to improve your open rates and keep your list healthy. Sending emails to inactive subscribers can also negatively impact your deliverability rate and get your emails marked as spam. An onboarding series – Use your onboarding series to welcome new customers or move free trial users to paid subscribers. This series should cover all of the steps that customers must know to get up-and-running with your product or service. A welcome email for new customers – Express your gratitude to new customers by sending them a thank you. You can include this email in your onboarding series or send it as a one-off. Product updates – When you release a new update, your customers should be the first to know about it. Use email to stay in touch with customers and keep them informed about the latest developments in your products or services. Surveys – Check up on customers by sending them emails that link to surveys. To ensure that you maximize your responses, be sure to limit how many questions you ask. Ideally, keep your surveys under 10 questions or a few minutes to complete. Live up to your customers’ expectations by sending emails on a frequent and dependable schedule. Many companies have haphazard send schedules— they may send out two emails one month, bombard customers when they launch a new marketing campaign, and then go silent for months. That’s no way to build a relationship with your subscribers. Whether you send once a day, once a week, or several times a week, be consistent with your send schedule. For the record, research shows that more than 60% of your subscribers would like to hear from you at least once a week. What day of the week is the best day to email your list? According to an analysis of 10 studies on email marketing, Tuesday is the winner. Wednesdays came in second place in several of the studies. Meanwhile, experts recommend scheduling messages on Tuesdays and Thursdays if you email your list twice a week. While these studies provide insights into when B2B buyers are the most likely to open emails, their findings may not apply to your customers. Be sure to check your analytics to determine when your emails get the most opens and clicks. Think about the messages that you are the most likely to open. Chances are, they aren’t mass sales emails. When faced with an overflowing inbox, you may first open a personal email from someone that you know and trust. Research has shown that personalizing your email messages boosts click-through rates by 14% and conversions by 10%. Meanwhile the Direct Marketing Association found that segmented and targeted emails generate 58% of all revenue. Review your email marketing and marketing automation settings to discover if you have any opportunities to segment your audience in new, profitable ways. For example, can you segment based on job titles, how frequently a subscriber interacts with your content, which products or services they use, or their stage on your sales cycle. Your segmentation possibilities are limitless. Professionals now open 55% of their business emails on mobile devices. As mobile usage continues to increase, it’s more important than ever to ensure that your emails look good on any screen. Don’t ask your subscribers to pinch or zoom just to see the tiny text of your emails. Also format your links so they are easy to open from a small smartphone screen. Before you send any email, test it against multiple browsers and mobile devices. This will help you give all of your subscribers a great experience. The point of every message is to get subscribers to take the next, easy step. Usually, this is clicking a link in the email to view a piece of content or a landing page. If you put too many calls to action in your email, your subscribers will get distracted and fail to do the one thing that you really want them to do. Focus on the single, most important call to action and save your other messages for future emails. Email marketing is still a powerful way to reach B2B buyers. But getting it right requires a well-planned strategy. Start by understanding your customer journey. Then, create emails that will engage customers throughout every stage – whether they are early-stage prospects who are researching their problems to late-stage leads who are ready to buy. Rachel Foster is a B2B copywriter and the CEO of Fresh Perspective Copywriting. She helps B2B marketers improve their response rates, clearly communicate complex messages and generate high-quality leads. Rachel blogs for the Content Marketing Institute and Business 2 Community. She also taught white paper, case study and sell sheet writing for MarketingProfs. The Online Marketing Institute listed Rachel as one of the top 40 digital strategists of 2014. Learn more.